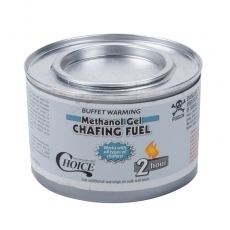 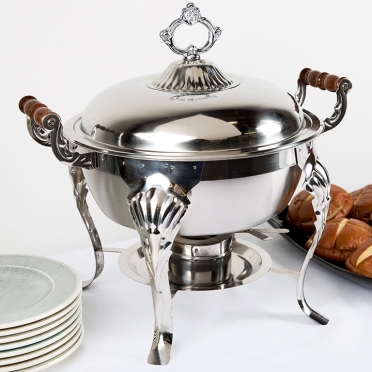 No matter if you are hosting a wedding reception, brunch, or dinner party, this chafer will offer elegance and a functional way to keep your food warm. The sterno heat means that you do not need access to electrical outlets, and the round shape and large size means that each piece will hold a great deal of food. 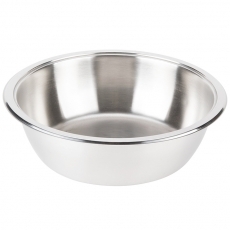 The mirror-like finish provides a classic look that enhances the appearance of your display, especially in a venue filled with bright ambient lighting. The wood handles are sturdy and will not burn your hands during transport. 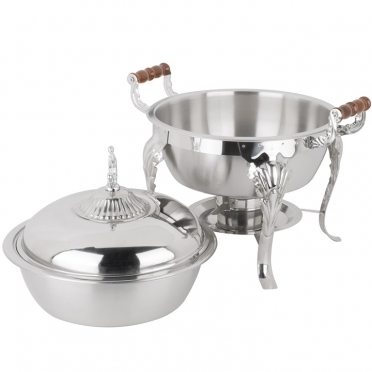 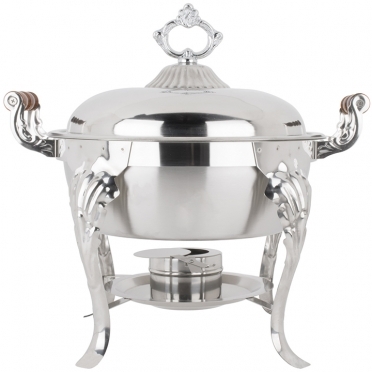 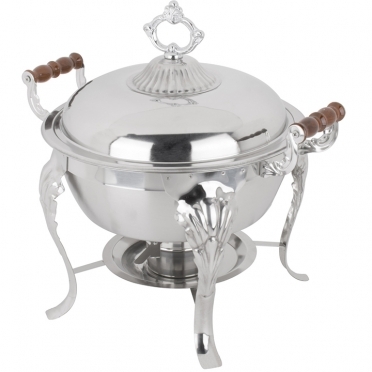 Whether you are serving soup, stew, or another entree, this chafer is sure to get the job done.